1. Projects can be submitted by a producer/director team from the following countries: Canada, Ireland, Germany, Finland, Norway and UK. The producer/director team must be in their first 6 years of their film/TV career. An exception can be granted to the Producer: She/he can have up to 10 years’ experience in the film business and/or has only produced a maximum of two feature length films. 2. All projects submitted must be fictional films that are still in the development or financing stage. Completed films will be not accepted. All projects must have a duration of 80 minutes or more. 3. 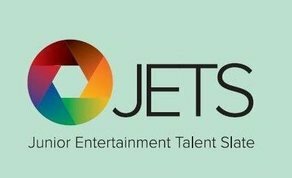 Producers/directors wanting to participate in the JETS Initiative must send an email to info@wepfilms.com with the heading “JETS 2019 + name of submitting person and country” including supporting materials (see page 3) by the 20th of December 2018. 4. Each producer/director team must ensure to supply save links of previous work i.e. short films, commercials, 1st or 2nd feature film (in case you supply a project that should be considered as your 3rd feature film production). 5. If the script should not be in the English language, the filmmakers must supply a three page treatment in English. 6. The total Co-Production budget for one project may range from €300,000 to €2,600,000. The maximum budget for a 1st feature film project should preferably not exceed €800,000. 7. Only projects with complete information can be considered for the preselection process. l. Any third party partners involved? • All materials must be submitted in English. If the original script is not in the English language, a three pages treatment in English must be supplied. All participants must be aware that they have to translate/rewrite their script in the English language, if their project should fall under the four selected ones by the Jury. • All materials have to be numerical assigned and clearly labelled. If all materials are submitted in one pdf document, please ensure that you include a table of contents. 1. The 20-24 projects with high potentiality of development and realisation will be selected by WEP Productions. 2. WEP Productions has the right to include projects by invitation. 3. All projects submitted will be treated confidential. Once a project is selected, the filmmakers agree to allow WEP Productions to publicise the participation of their project and its representatives at the JETS event on any platform or media where appropriate. 4. The selected projects will be published on the website www.wepfilms.com in the news section by the 6th of January 2019 and the filmmakers will be contacted by email. 5. Once your project has been selected you must confirm your attendance latest via email by the 14th of January 2019. If you fail to do so you will be not able to attend the JETS Initiative as we will select a runner up project instead. 6. The materials of the selected 20 - 24 projects will be send out to a participating industry Jury of 10 members who will be able to have an insight of each project before the actual event. 7. Each accepted producer/director team has to make a 5 minutes film project pitch to the jury members and other participating peers on the event day. 8. Each producer/director team will receive a summary of each accepted project for the JETS Initiative. Each team will preselect three other participating teams as potential Co-Production partners for an exchange talk (15-20minutes) monitored by one or two jury members on the day. 9. Each producer/director team will receive feedback on their project by the jury members. 10. The 10 Jury members will decide at the end of the day which 6-10 film projects are best to be pursued and considered for possible financing/funding.